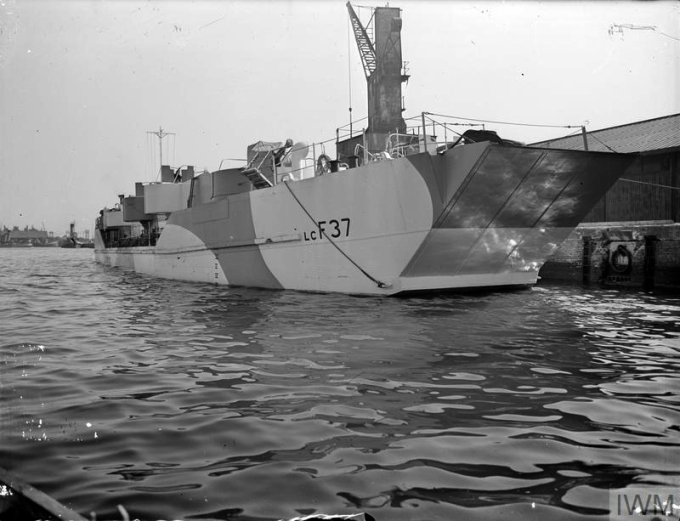 Landing Craft Flack (LCF) were converted Landing Craft Tank (LCTs) with the front ramp welded in position and the hold decked over as a platform for the guns. 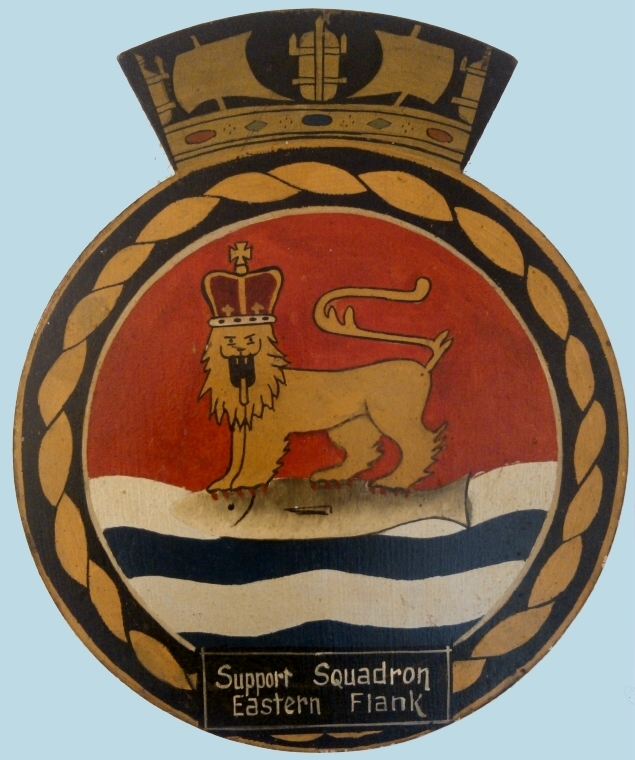 There were a number of variants (Marks) but most were around 150/200 ft long with a beam of around 30/40 ft.
LCTs were designed to carry tanks and heavy transport, while the LCFs were equipped with anti-aircraft guns to provide air cover for the invasion fleet, particularly the troop carrying Landing Craft Assault (LCA) flotillas, which were poorly equipped to defend themselves against air attack. Telegraphist, Hector Holland's light-hearted, tongue in cheek commentary belies the hazardous situations he found himself in, when death and destruction were his companions on occasions. This is his story. Generally speaking, the lower deck of His Majesty’s Royal Navy can be split into two main types of sea-going animal life, viz., ‘Big-ship’ sailors and ‘Small-ship’ sailors. ‘Big-ship’ sailors are those poor, weak minded facsimiles of seamen, who serve on battleships, cruisers, aircraft carriers and the like, whilst ‘Small-ship’ sailors are the hard-drinking, hard-working, hard-headed heroes, who made the world safe for democracy. The men of the destroyers, sloops, frigates and corvettes etc., were as decent a band of rogues, thieves and vagabonds as ever picked a pocket, or slit a throat…needless to say, I was a ‘Small-ship’ matelot! I joined my first ship only three weeks after entering the service and said goodbye to her only four weeks later. She was a sloop, which is something between a destroyer, a prefab and a Japanese banana boat, built on the Clyde in 1917. She was hardly the latest thing in naval sea power and had the distinction of having a bomb dropped down her after funnel at Dunkirk, from which she had never quite recovered. She and I parted company one morning in mid-Atlantic, when part of the German Underwater Brigade (U Boats) decided she had outlived her usefulness. They saved the admiralty the trouble of scrapping her. She went down in twelve minutes, taking my brand new No.1 suit, purchased only three days before and a months ‘nutty’ ration (chocolate) which I’d been saving for the kids back at home. So ended episode one of my naval career. Shortly after this, I was ‘persuaded’ to volunteer for Combined Operations, where I was drafted to an LCF. I arrived in Glasgow one cold, wet morning to join her at Barclay Curle’s yard. Never having seen or heard of an LCF, I was prepared for almost anything. Despite this, I passed by her three times, mistaking her for local bomb damage or some other misfortune, when an obliging dock worker pointed her out to me. The shock was so great that it was not until I’d had my tot of Rum and rolled myself a ‘tickler’, that I could sit down and calmly wonder what, in the name of the wee man, I had let myself in for! She was long, thin and flat-bottomed with square bows and a blunt stern. Her entire upper-deck bristled with gun-turrets, which bulged out on either side like blisters. She looked like no other ship on earth and how she’d float and maneuvre in rough weather caused me considerable worry from that day forward. Every time we left port for the channel was an adventure, like going to sea for the first time. I’d gaze longingly at the slowly receding coast, wondering if I’d ever set foot on dry land again. To see her heading out to meet the Atlantic rollers was indeed an awe-inspiring sight; she did not so much sail as ‘waddle’ in an ungainly manner, like a huge, grotesque duck! Her motion played havoc with the cold, greasy atrocities, which masqueraded as meals. One day, a destroyer flashed us a signal as we wallowed in a heavy sea, which read, ‘Please settle an argument. Are you a U-boat surfacing or a trawler sinking?’... Just one of the many witticisms we had to endure during our early days aboard. Our crew consisted of sixteen seamen and sixty marines. The purpose of the latter was to man our four double pom-poms and ten, double barrelled, Oerlikons. Our craft was many times smaller than a corvette, which carries a crew of eighty or thereabouts. The cramped, overcrowded conditions on board our LCF was such that if someone hiccupped during the night, the man two hammocks away would probably say ‘excuse me’ and someone on the other side of the mess-deck would likely fall out of bed! Our cooling system in the summer was a very small porthole about the size of a fully grown cabbage. In the winter, our heating plant was a two bar electric fire about the size of a dog biscuit. Its output could not have toasted a slice of bread, let alone warm up our shivering carcasses or thaw out our frozen clothes after four hours on the open bridge. How I blessed my tot of ‘grog’ and looked forward to the most popular ‘pipe’ in the navy…’Up Spirits’. Every day, at twelve o’clock, it transformed me from two yards of frozen pump water to something resembling a human being! My rating in the navy was ‘telegraphist’, commonly known to the other branches as ‘sparkers’ or ‘comic-singers’. There was no provision whatsoever for a wireless cabin aboard this floating sardine tin, since none was considered needed in the original LCT design. By the time their lordships discovered their mistake, the craft were already well under construction. When wireless communications were being used, I found myself squeezed into a corner of the wheelhouse, between the compass and the wheel, with a wireless set jammed between my knees while seated on an upturned bucket. How I hated the sight of that bucket and the mark it left on my tender posterior! Eventually they fitted me out with a proper office, complete with chairs, etc. They even sent me three more ‘sparkers’ to hang around and make the place look untidy. For a long time we undertook countless training exercises with LCTs, LCIs, LCAs, LCGs, etc. in a long succession of ‘D’ days, ‘H’ hours and mock beach assaults. Some bright spark ashore even organised a prolonged endurance exercise for the communications ratings. For three days and three nights I sat in a stuffy smoke-filled cabin, drinking innumerable cups of ‘kye’ (tea) in a vain attempt to keep me awake. Signal after signal came through until the Morse code became a meaningless jumble of sound. I had to take a break for a few minutes or scream. All our officers were RNVR, so their knowledge of wireless telegraphy and the organisation and structure behind it, was almost nil. 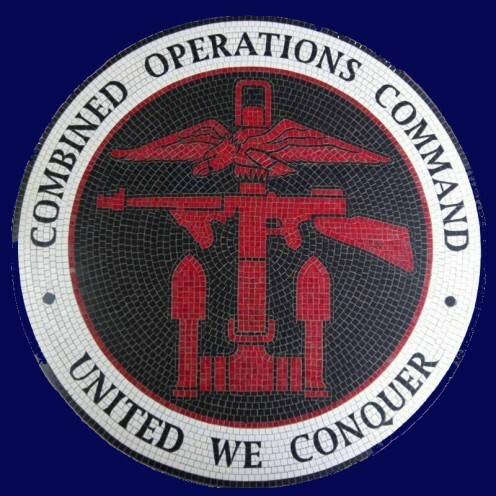 The responsibility for all communications and signals, therefore, rested with me. 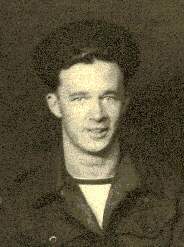 One early morning in June 1944, I was called to the skipper’s cabin and instructed to close the door, the porthole, the ventilation hatch and my big mouth! I was about to learn of plans and developments of great consequence, which I should tell to no one. At approximately 5am, on the morning of June 4th, we would ‘up kedge’ and set out from Southampton for the coast of France. At 0600 hours on the 5th, we would cruise up and down the beaches of Normandy playing tag with the German pill boxes and gun emplacements on the shore. However, the meticulous detail formed a mountainous pile of closely typed documents, which I was ordered to digest. It was important not to raise suspicions of the impending operation, so I should lock myself in the wireless cabin. 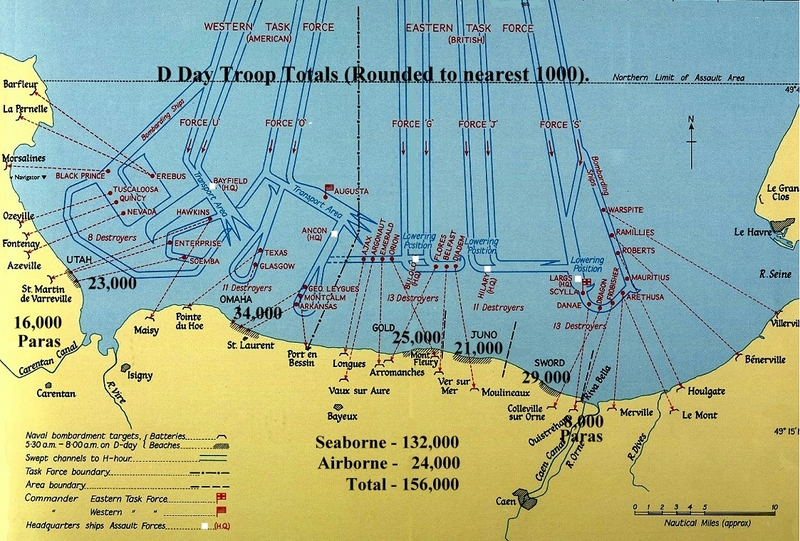 Operation Neptune, the amphibious phase of Operation Overlord was only days away. Our W/T cabin was a busy, unofficial information hub and to suddenly revert to its intended exclusive use for ‘comic singers’ would defeat the object of the exercise. I had a big problem on my hands and I knew it! However, all was not lost, I asked the coxswain to place a notice on the mess deck inviting all ratings, with no duties, to draw a paintbrush and pot of paint from the stores and report to the W/T office forthwith. Needless to say, I spent two full days in almost complete seclusion, working out the details of Operation Neptune as they affected us! As everyone knows now, D-Day was postponed for 24 hours. We arrived off Normandy on June 6th, where we created a lot of noise but did very little damage. The Luftwaffe mostly kept well out of range or didn’t show up at all, perhaps due in part to the reception they knew awaited them! After a few quite boring weeks, we ran out of fresh water and provisions and returned to Southampton to re-stock. There were so many Yanks in town drinking what little beer there was, eating what little food there was and finishing off the war for us there and then. We were not sorry to leave for the beachhead again. Things were very different on our return to Normandy. The Germans were now trying to break through our defensive cordon of craft around the beachhead. It was vital to protect the supply ships as they discharged thousands of tons of desperately needed vehicles, munitions and supplies for the advancing armies ashore. Any break in the supply chain might give the enemy a chance to regroup and counter attack. We became part of ‘the Support Squadron, Eastern Flank’. During daylight hours we patrolled around the beachhead but, at dusk, we anchored off the enemy held part of the coast, forming a line out to sea. The object was to detect and destroy midget submarines, human torpedoes, and Explosive Motor Boats (EMBs), as they tried to penetrate the line. The EMBs could do forty knots and were packed with high explosives. They were remotely controlled by a parent ship but each carried one man, who aimed the craft on its final approach to its target before jumping into the sea, with very little chance of being picked up. We were not allowed to move from our position under any circumstances, even when our searchlights picked out a dozen or so EMBs heading straight for us. Fortunately, such was the intensity of our collective fire power that we always managed to blow them up at a safe distance. The midget submarines and human torpedoes were, however, a different proposition entirely. We could not hear them and they were difficult to spot with only a little Perspex observation bulb above water. Several of our craft in line were blown up with no warning whatsoever. Looking for survivors was futile. Our only consolation was that no midget submarine ever escaped after attacking a craft. Jerry also laid mines from the air just ahead of our positions. On the flow, the tide carried them past us during the night, entangling themselves in our screws and kedge wires. On the ebb, the tide carried them back again in the morning. As some craft pulled in their kedge anchors or engaged their propellers on starting up their main engines, they simply disappeared in the midst of a high explosion. The hazards we faced at that time also included shells fired from long-range shore batteries, guided by feedback from forward observation positions . We regularly moved around, sufficient to prevent them from homing in on our positions. The boredom we felt on our first visit had been replaced by concerns about these many hazards . However, after the individual Allied beachheads joined up and pushed the Germans inland, this intense activity decreased and we survived to fight another day. 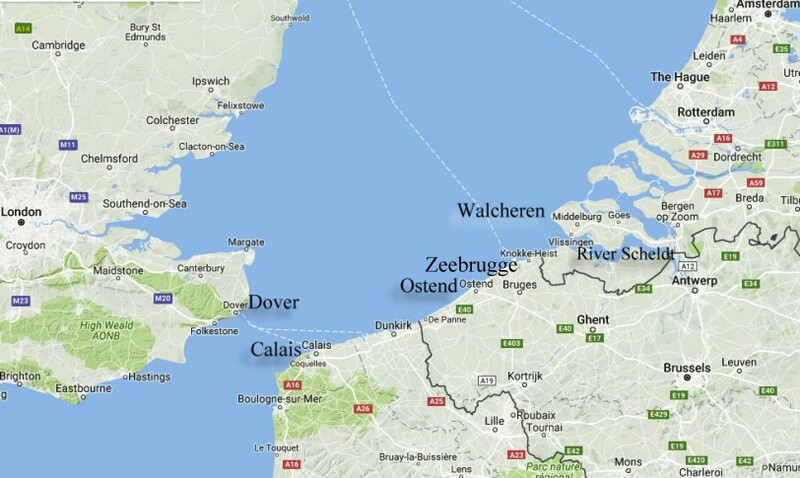 There was a German garrison of 10,000 on Walcheren that was proving very difficult to dislodge. With their heavy guns overlooking the estuary to the River Sheldt, they prevented the Allies from using the port of Antwerp, already in their hands, to supply their armies as they fought their way towards Berlin. 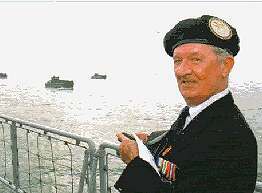 In November 1944, an amphibious raid took place during which we lost eight craft out of ten from our flotilla. The German gun emplacements concentrated their fire on our LCFs, while the Commandoes slipped ashore unmolested. We were told it was good strategy but it was very difficult for us to accept. Our little shells simply bounced off the ten feet thick concrete walls protecting the Jerry guns, while our craft were systematically blown to pieces by their big guns; one shell for'ard, one shell aft, one shell amidships... another one to Davy Jones’s locker. There’s was nothing we could do about it, because we had been ordered to stay on station. Still, I suppose, there must have been a reason for it in the big picture of the war. Anyway, the Sunday papers made a big splash about it and we all donated something to build a memorial to the blokes who didn’t make it. 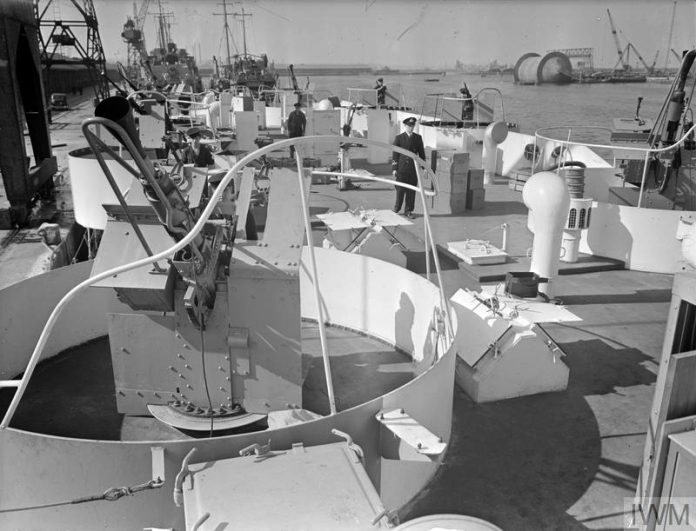 It was a successful operation and Allied supply ships were soon unloading their vital cargoes much closer to the front. 6 months later the war was over. Full story of Operation Infatuate here. Shortly after returning to the UK, I had a spell in hospital. On discharge I was to rejoin my LCF but its whereabouts was unknown. The powers that be advised, ‘get a ship at Tilbury docks and see if you can find her anywhere on the other side’. I had a very enjoyable trip through France, Belgium and Holland, taking in most of the principle towns and cities on the way. I finally traced her to a canal at 03.00 hrs in a small Dutch village called Wemeldinge, in North Beveland, not far from Walcheren. The rain was teeming down and the bank of the canal was a sea of mud. It was an odd sight to see the white ensign sticking up in the middle of a village miles away from the sea. We were now attached to the Marine Commandoes for as long as they required us and our officers. Most of the crew had grown beards to distinguish themselves from the ‘Land Service’ Marines. We encountered German ‘frogmen’ there, who were attempting to destroy canal lock gates and to block the shipping lanes of the Scheldt Estuary.Their aim was to paralyse the port of Antwerp, then under a constant hail of V2 rocket bombs. The frogmen swam over to our territory from an island called Scowen, about half a mile away. They were a constant nuisance, as were parties of SS troops, who would steal ashore in the middle of the night and grab a couple of sentries or Dutch civilians for questioning. The original reason for our being there was, I believe, to take Scowen, but a couple of attempts fell through. Anyway, the war in Europe finished and we returned home to pass the time knitting and growing flowers until we were demobbed. All in all, it was nothing if not interesting but, don’t think it hadn’t been fun…because it hadn’t! "There is no glory in war... only death, destruction, shattered bodies and disturbed minds." My grandfather gave me the badge/emblem from his WW2 Landing Craft LCLF21 (Landing Craft Large Flak) which formed part of the Trout Line. My grandfather is still alive and his war memories are amongst the easiest for him to recall !! This account of life on a WW2 Landing Craft Flak was written by Hector Holland and published here with the kind permission of the author's son, Ian Holland.